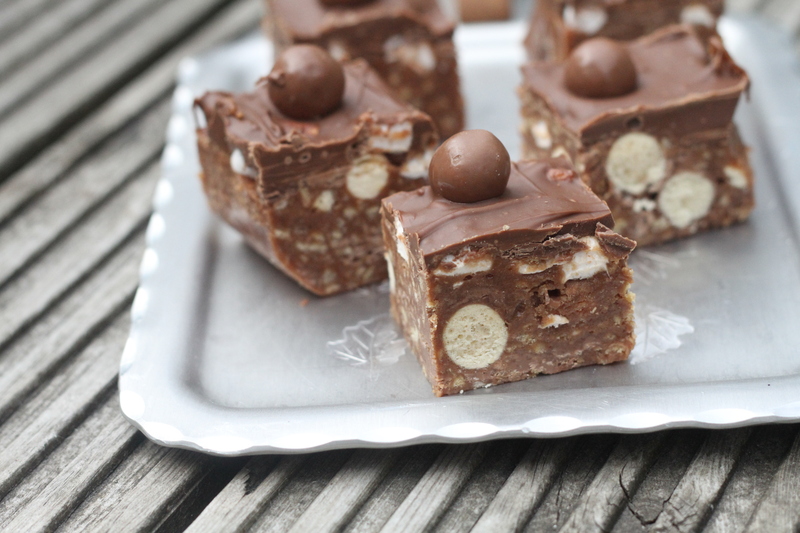 One of my favourite cakes treats is rocky road, which is not really a cake because it does not require baking in an oven so I guess it is more of a biscuit? Well, whatever it is or should be, all I know is that it tastes delicious and I rarely make it because I am not able to hold myself back from eating it and a lot of it! Back along I had some Maltesers that had not been eaten by my family (shock horror! 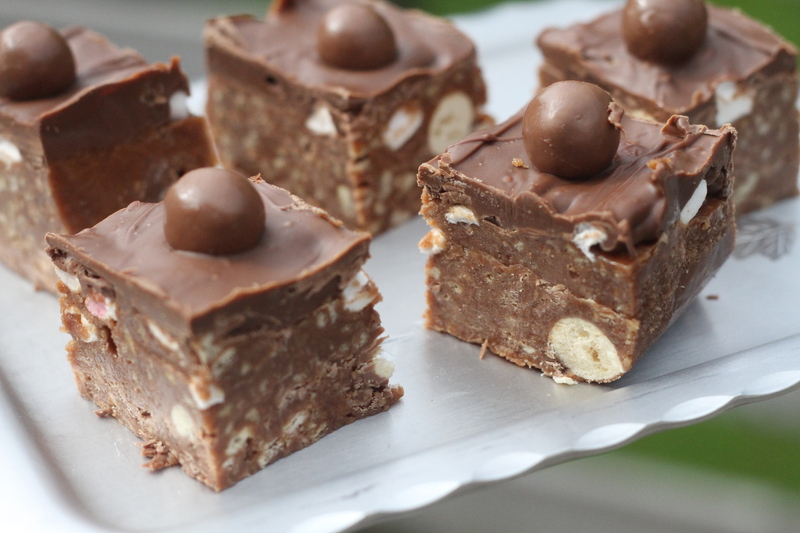 ), and all the other ingredients needed to make a rocky road so I decided to make a batch using Maltesers as an extra burst of yumminess inside it! 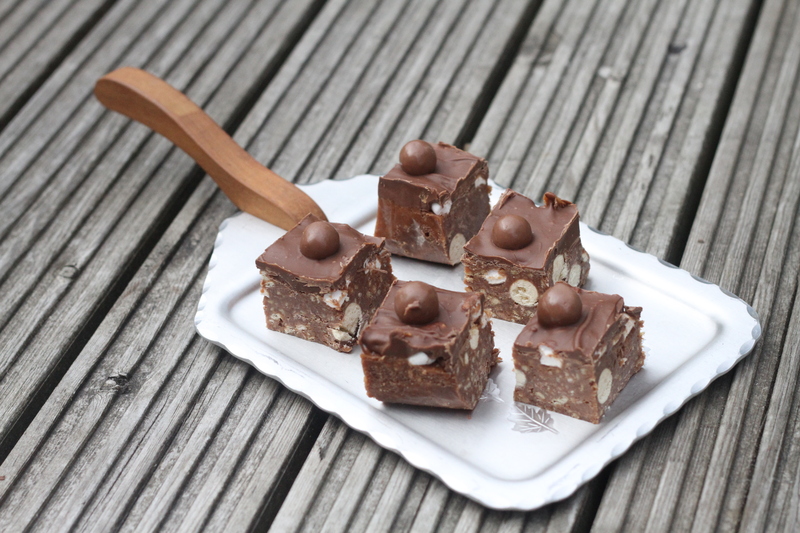 Rocky road is so easy to make and a perfect recipe for children to help make too, as long as they have adult supervision when melting the butter, chocolate and golden syrup on the hob. I mean, what child would not enjoy beating and bashing biscuits with a rolling pin to make crumbs? (If you have no child helpers for this, you can use a food processor to do this for you of course!). 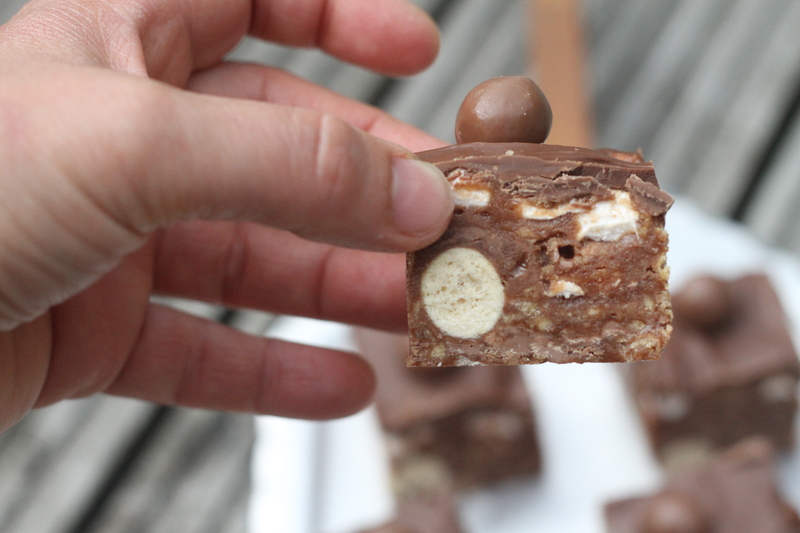 Keeping back 16 Maltesers for later, take your bag of Maltesers and bash with your rolling pin a few times to make them all sorts of shares and sizes. Pour the mixture into your greased baking tin and place in the fridge for a couple of hours to set. Keep in the fridge in a tupperware tub to preserve its deliciousness! 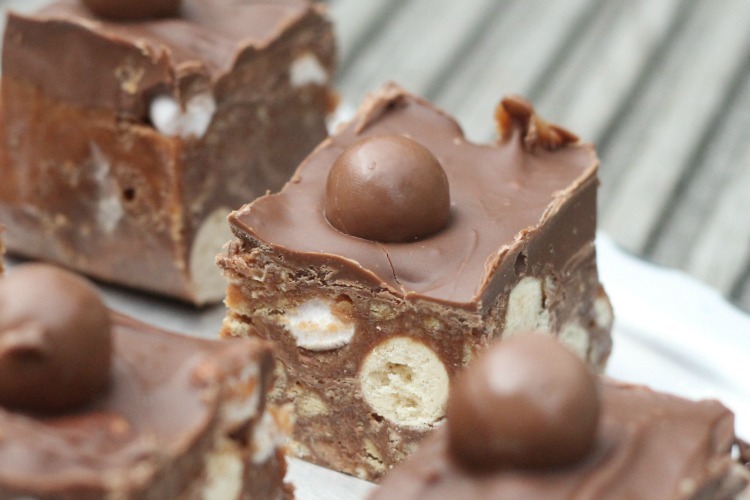 This Malteser Rocky Road is amazing – and trust me it did not last long I cant tell you! That looks lush. It would disappear in seconds in our house! This looks so good! 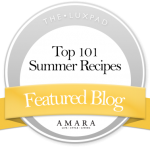 Pinned and will definitely be making them in the future! Thanks so much.Going to make them for the grandchildren!! This is absolutely fabulous.Everyone who has tried it says it’s the bestI used Cadburys milk chocolate.I have to be honest I used 300g chocolate for the top.Extravagant I know( kept a look out for special offers) but boy is it worth it.Thanks from one happy Granny and family!! Hi, what size tin do you use?